Log homes and commercial properties hearken back to our roots as Americans in a way that almost nothing else does. They’re synonymous with our heritage. But they have numerous benefits which make them an ideal residence or business structure in our time as well. Their rustic beauty aside, there are many sound reasons to build a new log home. They are impressively energy efficient, rugged and extremely well-crafted, remarkably quiet and they are easy to maintain. These are a few of the reasons we at Great Southern Log Homes have made the decision to build them. By doing so, we know we’re delivering a superior, reliable product that our customers will love to call home or work in everyday. There’s something that’s simply harmonious about a log home. Maybe it’s the way they blend into our natural surroundings, becoming a part of the greater landscape, accenting our environment in a manner that speaks to balance and accord with nature, or perhaps it’s their unique invocation of hearth and home. We just know we love building them. And we see the results in our customer’s smiles. At Great Southern Log Homes, we proudly build, restore, maintain and inspect log homes across the entire Southeastern United States. There’s nothing we enjoy more than working with our customers on a step-by-step basis to make sure that their log homes are built exactly how they want them, with integrity, craftsmanship, up to the minute industry knowledge and meticulous attention to detail. 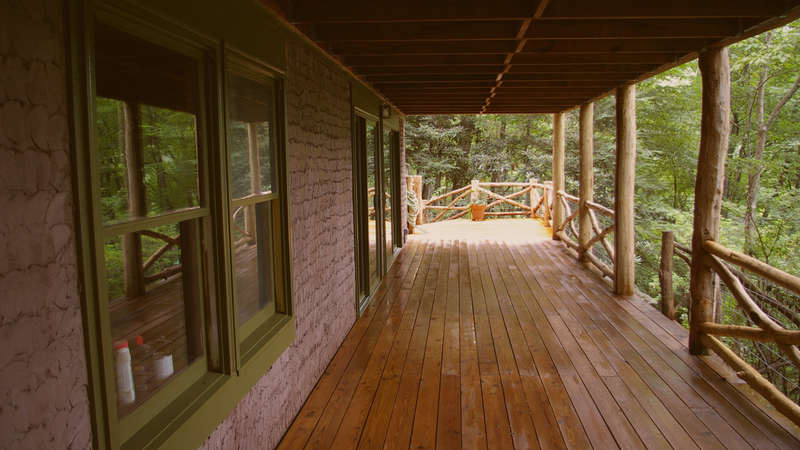 We bring over 40 years of combined log home construction experience, including design and engineering as well as construction. 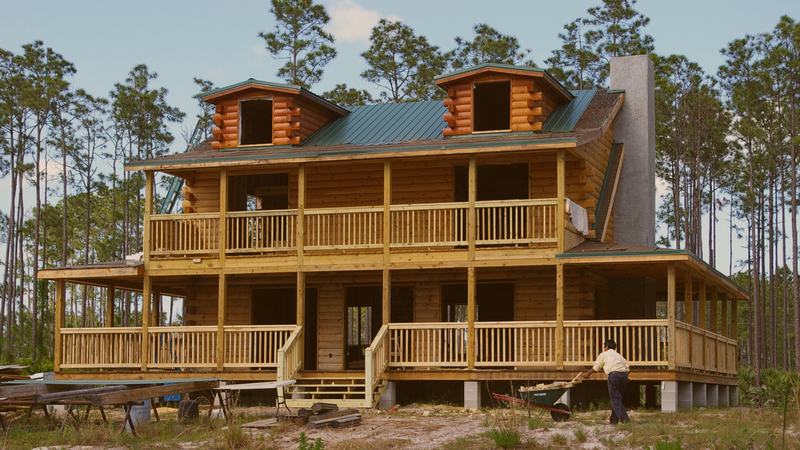 We’re also proud of our record building premier quality log homes to meet the rigorous specifications of hurricane vulnerable states like Florida. Not only do we build them, we helped develop those guidelines. It’s this kind of experience and insight with which we approach every project, no matter how large or small. 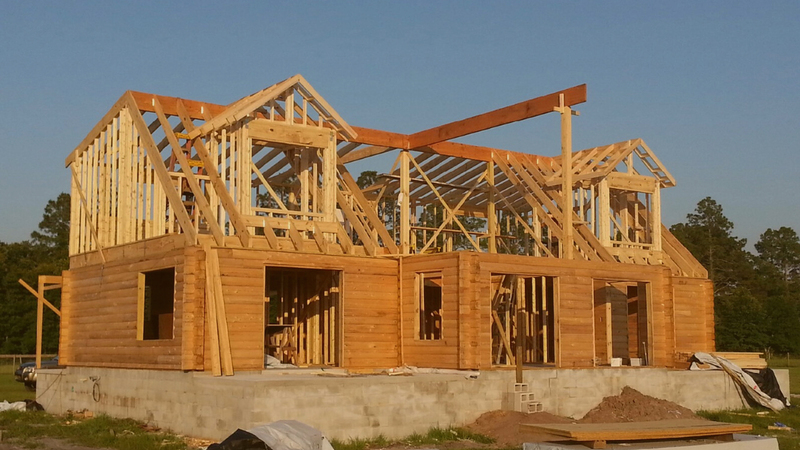 Log homes are built to withstand tropical storms and hurricanes. Superior craftsmanship – Every structure we build is built with master craftsmanship to withstand the elements, save you money and accent the natural beauty of our environment. Energy efficient – A well-designed and engineered, well-built, expertly-sealed log home is very energy efficient. With Great Southern Log Homes doing the building, you know that you’re getting an exceptionally beautiful home that is as practical and cost-efficient as it is attractive, and one that will appraise well as it ages. Sustainability – Because log homes are built using renewable resources, they contribute to the growing trend of “green” building. How and where the wood is sourced, the different varieties of wood used, the amount of energy and labor all play a role in why log homes are greener. Please ask us for further details.Thermal mass – Thermal mass refers to the ability of the logs to maintain a comfortable temperature year-round. The density of the wood contributes to this. That thermal mass contributes to savings for you. Quiet – Log homes are famously quiet. This is because the density of the wood dampens sounds. Easy to maintain – In Southern states where humidity is constantly high along with temperatures, we’re always subject to mold, mildew, fungi and insect infestation. That’s because, in traditional homes, there are cavities in the wall which are sealed, creating a vulnerability for those unwelcome molds and insects to exploit. Log homes do not have these hollows. Plus, inspection is easy.